I visited Hengdian World Studio and Hengdian Film Industrial Park because I am interested in filmmaking. Hengdian is a town of Dongyang county in the mountainous Zhejiang Province, China. I came there with a regular bus in 2011 from Hangzhou, which is about 180 km away, and stayed there for three days which was not enough, because there are so many things to see there. The studio consists of 13 shooting bases with a total area of up to 330 hectares and building areas of 49,5995 square meters. It is the largest shooting base in China and one of the largest in the world. It is sometimes called “Chinawood “. Unlike a typical movie set, the structures in Hengdian are made up of full-scale buildings and not facades. There are also two high-technical shooting studios there. There are no earnings from rentals of the sets and back lots, because free access is given to all productions, domestic or foreign. The studio also functions as a theme park, so tourists can see replicas of famous structures, as well as locations of their favorite movies and TV shows. I found this studio more interesting than studios in Hollywood because I could watch shootings of many films. On a typical day, there are about 10 crews shooting on the various lots. Both in Hollywood and Hengdian I would like to see an exhibition about the process of filmmaking from an idea to marketing. Also books and magazines about filmmaking for sale. It could be very interesting for both professional and amateur filmmakers. There could even be clubs linked to the studios. The Opium War – Directed by Xie Jin. Considered even-handed treatment of the war, though it is about a very shameful part of British history. Crouching Tiger, Hidden Dragon – Directed by Ang Lee and won 4 Oscars in 2001. Emperor and the Assassin – Directed by Chen Kaige and won the Technical Prize at the 1999 Cannes Film Festival. The Mummy: Tomb of the Dragon Emperor – Directed by Rob Cohen. The Forbidden Kingdom – Directed by Rob Minkoff with two famous Kung Fu actors, Jackie Chan and Jet Li. Because of the many films shot there, the studio has provided employment for many in the area as extras. Today it pays more to play a farmer than to be one. Still the salary is much lower than e.g. in Hollywood, but many enjoy it very much. I understand it well because I am sometimes an extra in films. When Wen Jide was 62 years old he became one of the thousands farmers who became an extra and has since acted as a chancellor, governor and an emperor. He had never acted before but drew on his experience in a singing and dance group in his village. Many major Hollywood studios have shot films there e.g. because of historical sets and very low costs. “The advantage here is obviously economic. The stunt crews are amazing, and the work hours are very flexible,” said Jeremy Bolt, producer of “Dead or Alive,” which is a Kung Fu film based on the video game of the same name. In the Hengdian Film Industrial Park are about 320 enterprises and I saw many creating props for films. The Warner China Film HG Corporation is a joint venture of Warner Bros. Pictures, the Chinese Film Group Corporation, and the Hengdian Group. It’s the first Sino-foreign joint venture of film production. The purpose is to create films and television programs for the Chinese market. Some film companies have had financial problems e.g. because of to slow money returns and too much film production prepayment. They could not get loans from banks because small amount of real assets. The Bank of China’s Zhejiang Branch therefore introduced the “Ying Shi Tong Bao” product, which allows small and medium-sized film and TV cultural enterprises to use the copyright of TV programs as a pledge for loans. The history of the man who build the studio is quit impressive. Xu Wenrong, was born in Hengdian and left school when he was 13-year-old. A state-run silk factory there was shutdown because of a crisis. In 1975 he got a loan from the township government to set up the Hengdian Silk Factory. He later became a multimillionaire and his Hengdian Group Company became one of the most powerful private enterprises in China with major industries of electronics, pharmaceutical, chemical, film and entertainment. He describes himself as “a farmer turned entrepreneur”. In his opinion, farmers are great. It is the laboring people who created the world and history. He was elected as the deputy of the 8th National People’s Congress and won the “Golden Award of the 4th National Career-starting Award of Entrepreneurs” and “National Outstanding Private Entrepreneur “. He has been conferred the honorable titles of “National Model Worker”, “the 1st Top 10 Innovation Man of News of Chinese Privately- Owned Enterprises” and the “Person of Chinese Top 25 Meritorious Brand”. The TV series of “Peasant Representative” which was written according to the development history of the Hengdian Group, gained the “Five First Project” Award in Zhejiang Province. The Japanese NHK TV station shoot TV documentary, “Asian Celebrity Xu Wenrong” about him. 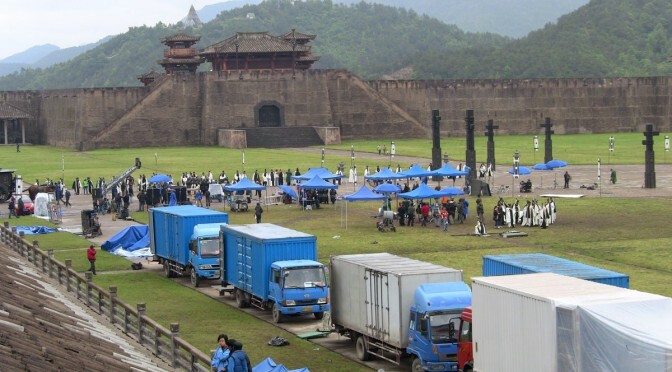 When director Xie Jin in 1996 was looking for someone to build a giant set for his film “The Opium War.” Xu Wenrong decided to do it. He brought in 120 construction crews and built the 20-hectare set in three months. That feat impressed the filmmaker so much that he recommended the location to Chen Kaige, who was then scouting for his film: “The Emperor and the Assassin” and needed a Qin Dynasty palace. He asked Xu to help and eight months later, a palace with 27 buildings had been built. Xu Wenrong handed the reins of the company to his son Xu Yong’an in 2004, who has said that he wanted to set up a fund, like the Sundance Institute, which was created by Mr. Robert Redford, to support film makers. The films do not have to be made in Hengdian, but they could be scripted, financed and promoted there. He also wanted to have a special film festival to promote them. Hengdian Group is both exporting to Europe and cooperating with European companies for the sales of their products and services to the Chinese market, e.g. Segafredo coffee shops in Shanghai and some leading fashion brands. The group is also interested in promoting collaboration with European partners in the film and entertainment industry. 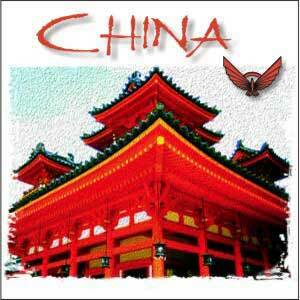 To improve the internationalization, Hengdian Group set up in 2007 a subsidiary company in Milan, Italy. The General Manager of the company Mr. Airaldo Piva received the “National Friendship Award of China”, which is the highest national award granted to foreign experts who have made outstanding contributions to China’s economic and social progress. The winners are selected by the State Administration of Foreign Experts Affairs. The company was awarded the “China-Italy Investment Prize” of Sino-Italian Foundation in 2009. The Hengdian Group has established many enterprises in poor regions such as Anhui, Henan, Hubei and other provinces to help the locals pave their way towards prosperity. The Group also provides funds to build primary schools for the Hope Project and children’s palaces in the western poor regions. It established the Hengdian Polytechnic School, the Zhenjiang Hengdian Science Institute, Hengdian Group Kindergarten, Zhejiang Aviation and Sports School, Hengdian Senior High School and Dongyang Tourism School. The Group set up the Hengdian Group Hospital and Sino-Finnish Wenrong Hospital, which is based on the cooperation with Finland medical organizations. The Economic Forum of Chinese Counties was also established by Hengdian. China International Children’s Film Festival (CICFF) is an international event approved by the State Council of the P. R. of China, sponsored by the Film Bureau of the State Administration of Radio, Film and Television (SARFT) of the P.R. of China, and organized by the China Children’s Film Association (CCFA) every two years. The aim of the festival is to enhance communication and cooperation between children’s films, develop friendships between children and promote the development of Chinese children’s film industry by communication activities. The 8th CICFF, which was held in Hengdian 2004, gave more than 20,000 local rural children a chance to enjoy for free 24 films from 15 countries in the cinema. At the same time, more than 69 screens were arranged in villages for those who could not come to town. “The festival is a window through which our rural kids can broaden their horizons to feel and experience some exotic cultures,” said Roy Chen, assistant president of Hengdian Group, with the company having spent US$1.5 million to host the biennial event. “The film festival will have a significant impact on our rural children, who are much less fortunate than their counterparts in big cities,” said Beijing Professor Zhu Xiao’ou. The music is provided by my friend Chuck Jonkey in Los Angeles. He is musician/composer and known as the “Indiana Jones of the music world” because he has travelled around the world to collect sounds, instruments, environmental recordings and ethnic tribal music. He is the owner of the independent record label Sonic Safari Music, where e.g. ethnic tribal music and music by him can be bought. His collection of strange musical instruments is enormous, which he uses sometimes in his music. Chuck Jonkey’s music has been featured in many feature films e.g. Rambo IV (2008), J.F.K. (1991), The Doors (1991) and TV shows, e.g. Nip / Tuck (2003), Survivors and shows at Discovery Channel. He has also composed several hundred musical pieces for Microsoft’s software products.